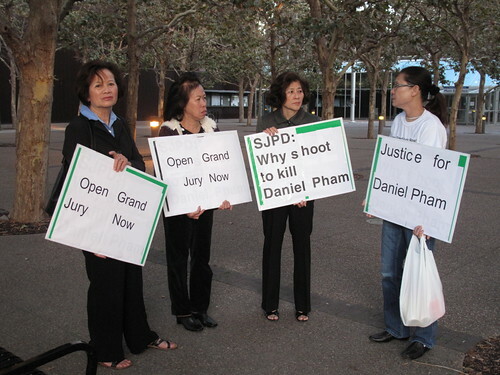 Vietnamese-American marchers came to the county building to seek a grand jury investigation into the death of Daniel Pham. I only saw this because I drove by as the event was winding down. But according to the Merc’s report, these marchers are requesting the county to open a grand jury investigation into the police shooting of Daniel Pham this past May.